BRANDON, MB – A globally-recognized entrepreneur is returning to Brandon University (BU) this weekend to speak about his revolutionary new business venture in which citizens would be rewarded by the Canadian government for making healthy or responsible lifestyle choices. Andreas Souvaliotis is an expert on social responsibility and a best-selling author who graduated from BU in 1984 with a Bachelor’s Degree in Science. In his latest project, which will be rolling out across the country next year, Souvaliotis is partnering with the federal government on Social Change Rewards, the world’s first national platform for rewarding everyday good behaviour. 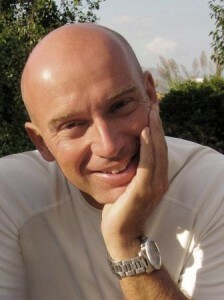 Acknowledged by global thought leaders, including the Prince of Wales, for achievements in influencing and rewarding behaviour change on a mass scale, Souvaliotis previously founded Green Rewards, the world’s first eco-points program, which was eventually fused into AIR MILES and rewarded millions of citizens with loyalty points for healthy or green shopping choices. 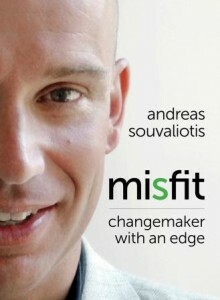 His recent best-selling autobiography, Misfit: Changemaker with an Edge, is being turned into a movie. “It’s always a thrill when I can return to Brandon,” says Souvaliotis, who will talk about his life and business ideas in the John E. Robbins Library at Brandon University, Saturday, October 18 at 2:30 pm. as part of the annual BU Homecoming. All are welcome. For a full listing of the many public events during Homecoming, please visit https://www.brandonu.ca/events/. Brandon University, founded in 1899, promotes excellence in teaching, research, and scholarship; educating students so that they can make a meaningful difference as engaged citizens and leaders.